Last month, the Norway police arrested five hackers accused of running theMegalodonHTTP Remote Access Trojan (RAT). According to the United States security firm, all the five men, aged between 16 and 24 years and located in Romania, France, and Norway, were charged with possessing, using and selling malware. One of those arrested also confessed to running his own web store where he sold malware, designed to take full control of target computers, harvesting passwords, and other personal data. Moreover, the malware can be used to hijack webcams in real-time, and steal documents, images, and videos as well. “Damballa’s threat discovery center worked in cooperation with the Norway police over the last few months to track and identify the author of the malware dubbed MegalodonHTTP,” threat researcher Loucif Kharouni wrote in a blog post. 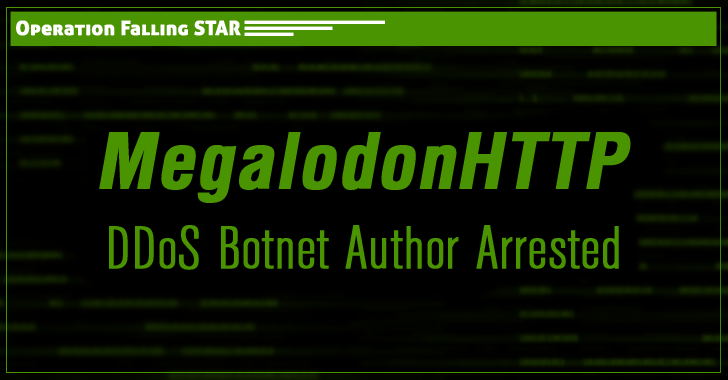 However, the researchers said MegalodonHTTP was not very powerful; in fact, it was “quite simple” and indicated the poor coding skills of its author, requiring .NET to be installed on infected systems. This malware was sold on amateur hacker hangout HackForum as well as on thebin4ry[dot]com website. In fact, before his arrest last month, the hacker was still selling the malware. Just last week, Europol in cooperation with Romanian law enforcement authorities arrested eight criminal hackers suspected of being part of an international criminal gang that pilfered cash from ATMs using malware.